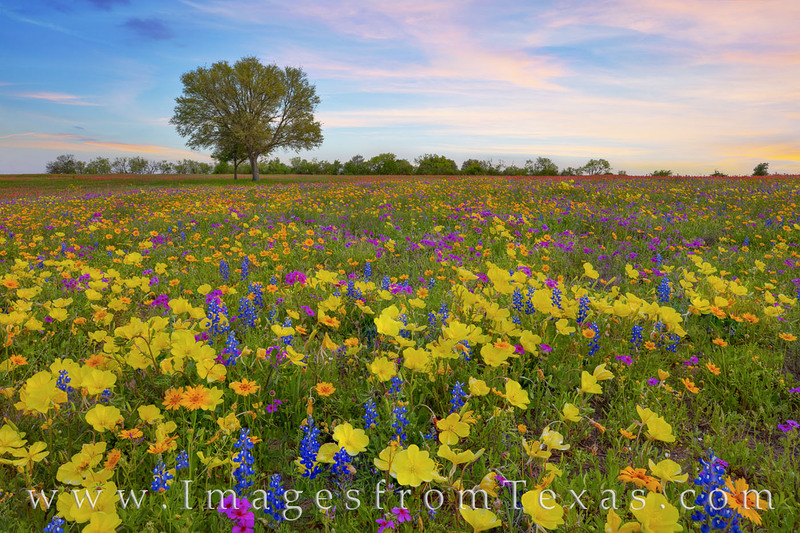 Soft colors of pastel pinks and blues lingered in the skies over this field of colorful Texas wildflowers for only a few moments, but while they did, the landscape was an amazing sight to behold. With every color in the rainbow before me, this was one of those moments I had to simply pause for a short time and enjoy. The only sounds I could hear were a donkey braying in the distance, but few cars passed on the road outside the barbed-wire fence. This photograph was taken on private land with permission from the owner, and I am grateful for the opportunity. Photo © copyright by Rob Greebon.